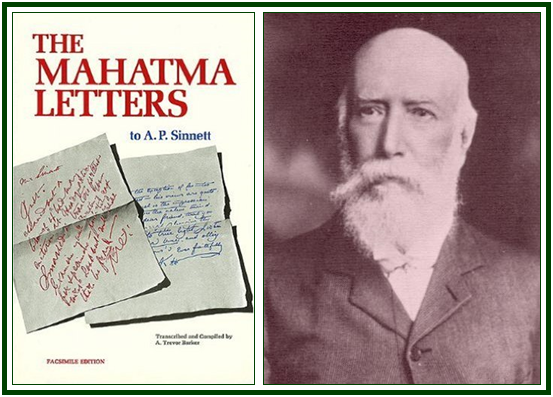 Mr. A. P. Sinnett was an earlier member of the Theosophical Movement and played a very vital part in the expansion of the activities both in India and in England. He was the editor of a daily newspaper “The Pioneer” and also the writer of the books “The Occult World”, “Esoteric Buddhism”, etc. Madame Blavatsky pleaded with her spiritual Teachers that they should enter into correspondence with A.P. Sinnett and A.O. Hume; and the result was there was some correspondence between them. The Letters were not permitted by Them to be published as such, but the information supplied could be used to make books. But, on passing away of the recipient, viz. Sinnett they became the property of the Trustees and were published for the first time in 1923. The Original letters are now held in deposit with The British Museum, London. Each of the Letters is pregnant with philosophic pointers. 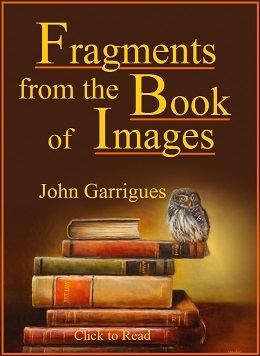 For the present essay, the first two letters are taken as they lay the foundation for study and for understanding the nature of the Masters and Their work with the world. The letters were written and received in October 1880. A Master is beyond the need of a “name and form”, but for the purposes of correspondence a name was chosen. Wisdom is an innate characteristic of Manifestation/Nature. The place of a Master of the Wisdom in the whole life of a spiritual aspirant is to be conceived well. The letters help for this, as also to elevate the public mind regarding the study of Occult Science. Reading and re-reading the Letters is necessary as each new reading is done at a more advanced level of understanding, and other meanings and interpretations occur. The letters contain (1) Contextual advice on matters of current importance, (2) Instructions for enlightenment and (3) Rules of master-Disciple relationship along with the cosmological Laws. The Letters make a welcome “introduction” to the very nature of a Master. (1) The world is yet in its first stage of disenthralment if not development, hence - unprepared. (2) The Masters work by natural - not supernatural - means and laws. (3) The success of an attempt of such a kind (bringing out the same edition from different parts of the globe that are one month apart by all means of communication) must be calculated and based upon a thorough knowledge of the people around. It depends entirely upon the social and moral conditions of the people in their bearing on these deepest and most mysterious questions which can stir the human mind ­ the deific powers in man and the possibilities contained in nature. The arguments and suggestions that are perfect from the standpoint of exoteric wisdom will not work when it comes to “esotericism”, “with its laws based upon mathematically correct calculations of the future”. The acts and words of the Masters would seem often “unwise, if not actually foolish” to the uninitiated. He refers to the Aryan goddess SARASWATI and the rewards of Wisdom that would accompany the devoted and faithful serving. Winning over the public mind, is not to happen through the working of miracles and phenomena, they unambiguously state. Sinnett is advised to work on the material available with him. The “further evidences” he needs will be supplied at the appropriate time. Science shall be able to account for phenomena when it acquires a knowledge of Akas, its combinations and properties. When we look at the present stage of scientific and technological advance, the concurrent production of a newspaper at different centers of the globe is no longer impossible in 2012. The “human nature” is also trying to decode itself and get out of the bounds of “selfishness”. There is not a very speedy and highly striking change in the area of religion but tolerance is being built up. There is accommodation for the other man’s point of view and a decided attempt to reach a common understanding. But as the Master said, things will have to improve “step by step” and not in a “rush”. The points made out in the second letter are still deeper. (1) Occult Science has “its own methods of research as fixed and arbitrary as the methods of its antithesis physical sciences are in their way”. (2) The aspirant to Occult science must be willing and practically do “change his/her mode of life”. The inner motive of the aspirant is more a matter of concern if instruction has to continue. (3) The racial prejudice, among others, must first die down. The Theosophical Movement is not intended to be a factory for the production of “adepts”. It is rather the intention to bring together men and women of the world in a common pursuit of Wisdom. The universal brotherhood of humanity is the hard base for the human progression and perfection. (1) The desire to receive positive and unimpeachable proofs that there really are forces in nature of which science knows nothing. (2) The hope to appropriate those forces at the earliest and demonstrate them before the chosen western minds, to contemplate an objective reality built upon the rock of knowledge and not upon faith, to finally come to know the reality of the existence of the Masters. These motives, the Master very boldly says are founded upon no other quality than “selfishness”. Here, the Master asserts that the Theosophical Society is not for “gratifying the individual aspirations” but to serve fellow men. The ideal of Universal Brotherhood is of paramount importance to the Society and its work, and the TS cannot be remodeled “as a college for the special study of occultism”. The Master of Wisdom declares that the doors of learning are always open for those aspirants who knock in the appointed way. The newcomer is invariably received, but “he has to come to us”, and must have also reached “a point in the path of occultism from which return is impossible”. The most popular phrase in the theosophical literature on the path is: “Leave your world and come to ours.” The devotion and dedication to the cause as expressed by Col. H. S. Olcott and Madame Blavatsky receives commendation here of the Master. The matter of phenomena and the part played by Blavatsky therein is clearly depicted. The place given to the Theosophical Movement and its philosophy, working through the branches, in the matter of acquiring knowledge/Wisdom is to be candidly grasped here. The society and its philosophy is the “instrument” for the flow of the Wisdom. Here mention can also be made of a statement coming from Sri T. Subba Row. The Masters have directed their earlier students (those who were with Them even before the Society was established) to join the Society and approach Them only through that, if they wanted a continuity of Teaching. The relationship among the Teacher and the student would be under strain if the latter chooses not to join the Society. The rules of discipline or the conditions of training in occult studies shall not be changed. The aspirant will have to change his/her mode of life. The Theosophical Movement is not meant to be a college for manufacturing occultists or adepts. It is not for gratifying the personal and individual aspirations of the members but to inculcate among men and women of the world a sense of Universal Brotherhood of Humanity and in the process doing away with all prejudices of race, selfish motives etc. The newcomer is always welcome to the ranks of discipleship but one must properly prepare oneself rightly. Communication will continue only if there is communion of thought. Science is the friend so far as the communication of new ideas to the world is concerned. The doors of discovery are not closed to anyone. The scientist must think in terms of public benefit rather than in any other perspective. The statement appearing in yet another letter as to the possible cooperation between a scientist and a philosopher; the enormous patience with which the sage waits in his cave of learning can also be relevant here for a proper understanding of the situation. The matter of Learning the secrets of Nature, acquiring the Wisdom needed for living a True and Real life, the place of the theosophical philosophy and the Movement in the total process are amply suggested here. For a total advantage there can be no substitute to the earnest study of the Letters in their full form. 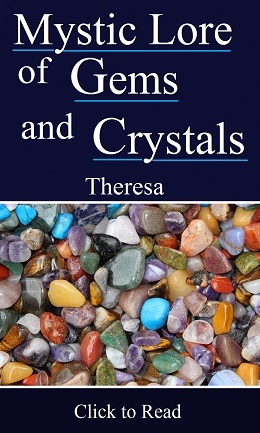 The above text is reproduced from “The Aquarian Theosophist”, April 2012 edition, pp. 09-13.